Regardless of whether or not you intend to sell anything online, a quality website is the single most important investment you'll make when promoting your business - online and off. Every business, brand, or organization can benefit from developing an online presence, regardless of whether or not it is responsive. 360 PSG currently offers two solutions to help you build your brand. 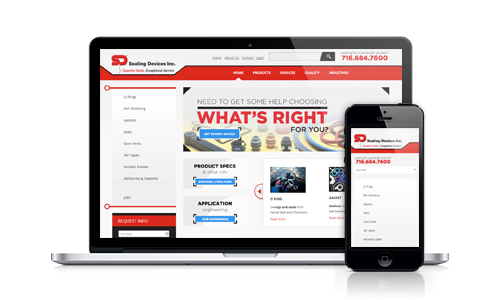 Responsive design allows visitors to view your website in a manner that is optimized for the device they are using - meaning no pinching, zooming, or significant scrolling is needed in order to view the site. This is increasingly important in an era where mobile devices and tablets are the status quo. 56% of all cell phone owners use a Smartphone, while almost the same number of Americans own either an e-reader or tablet computer. According to some projections, mobile internet usage will overtake desktop computer usage before 2015. The Fission Web System is our flagship product that lends itself to just about every bell and whistle a website could ever possibly need. Fission CMS is the ideal platform for any website that requires (or may eventually require) premium functionality, including responsive development, e-commerce, custom app development, social media integration, and more! The newest addition to our suite of products, 360 CMS is a modern web platform that offers many of the same basic features that users have come to expect from Fission, but with fewer premium options. 360 CMS also offers a built-in, responsive library of website themes, which means that building the website of your dreams now only takes a matter of days, rather than months or weeks.